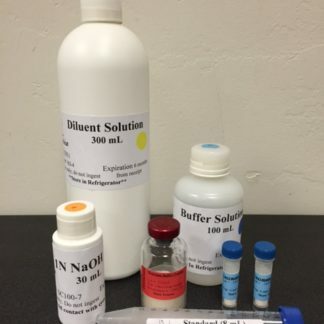 ﻿ 0.1 g/L Malic Acid Standard Solution (30 mL) – Vinmetrica – Sulfite (SO2), Malic, Alcohol & pH/TA tests for Wine, Beer & Kombucha. Please note: This product contains itemsthat must be stored either frozen or refrigerated upon arrival.Please ship the product to a location where someone will be to receive it. 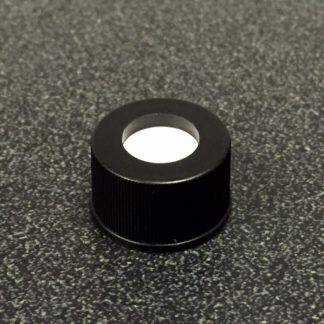 Instructions for storing can be found on the individual reagent bottles as well as in the manual. Please contact info@vinmetrica.com for more information. 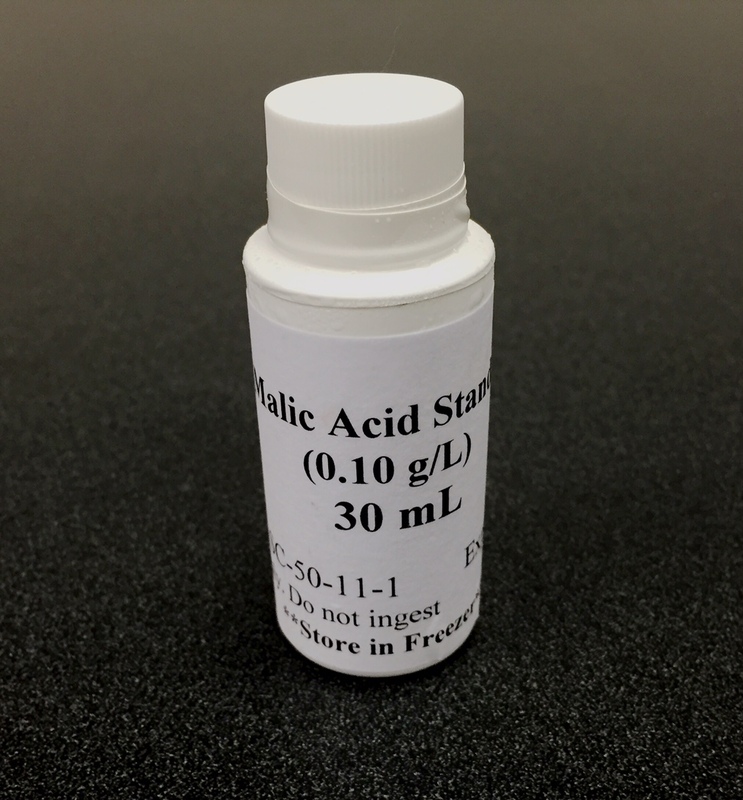 The Malic Acid Standard Solution will allow you to quantitatively assign a value (in g/L) for malic acid in your wine samples. 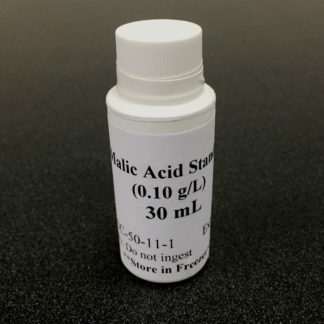 This is not required every time you perform a Malic Acid assay, but we recommend running this procedure when you believe your concentration is low and/or your SC-300 and SC-100A have previously indicated that MLF is nearly complete. 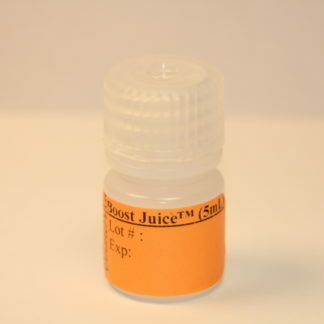 This contains 30mL is good for up to 10 tests. Store in freezer for maximum shelf life.